Three United States military contractors were reportedly killed in Afghanistan late Thursday, local time, after gunfire erupted at Kabul International Airport’s military facility. 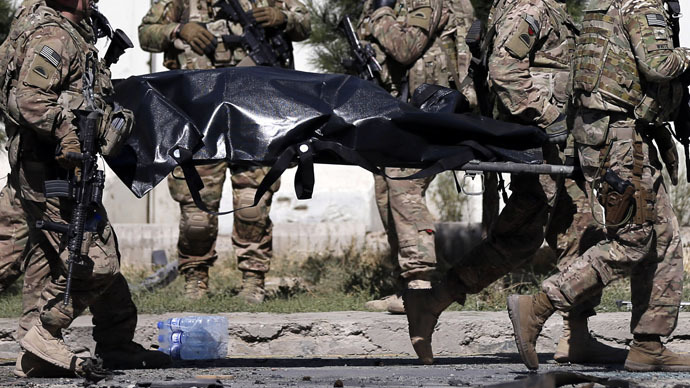 US Army Col. Brian Tribus, a spokesman for the NATO-led Resolute Support mission, told reporters that the three contractors were shot and killed in the incident along with an Afghan national, according to Stars and Stripes. Reuters reports that the three were American. An Afghan soldier fired the shots, an official with the country’s air force told Reuters on condition of anonymity, leaving the newswire to preliminary classified the incident as an insider attack. Is it not immediately known if the gunman is among the dead. "It is unclear yet why he shot these advisers and no one else was there to tell us the reason," the official said. "An investigation has been opened." “It wouldn't be appropriate for me to comment on something like that until an investigation has been initiated and complete,” Army Lt. Col. Chris Belcher, a spokesman for the US mission in Afghanistan, said in an email to Military Times. American officials say the shooting occurred at around 6:40 p.m. local time, hours after at least 12 people were killed when an explosion occurred at a funeral ceremony in eastern Laghman province. The long-running US war in Afghanistan ended in name at the end of 2014, concluding a 13-year-long war that cost nearly $1 trillion and the lives of over 2,200 Americans, according to the New York Times. Despite America’s combat operations being rolled back, however, around 12,000 troops are believed to be assisting and advising Afghan forces as part of an agreement reached between Washington and Kabul. Last February, two Americans were killed by a suicide bomber in Kabul.